The Capstone College of Nursing was recognized for advancing the science of nursing education. 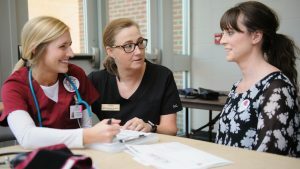 TUSCALOOSA, Ala. – The University of Alabama’s Capstone College of Nursing recently was selected as a National League for Nursing Center of Excellence, a designation that was given to only 16 nursing programs nationwide. “Centers of Excellence help raise the bar for all nursing programs by role- modeling visionary leadership and environments of inclusive excellence that nurture the next generation of a strong and diverse nursing work force to advance the health of the nation and the global community,” said Dr. Beverly Malone, NLN CEO. The designation, which runs from 2018 to 2022, recognizes the College for advancing the science of nursing education. The designation is based on research; innovation in curriculum design; enhanced student learning; and faculty contributions to the science of nursing education. “Receiving this designation is a high honor for the College, as it supports our University and College strategic plans to develop key areas of science and research expertise,” said Dr. Suzanne Prevost, dean of the Capstone College of Nursing. The College earned recognition for numerous nursing faculty members conducting research and publishing their findings on best practices for educating nursing students, Prevost said. 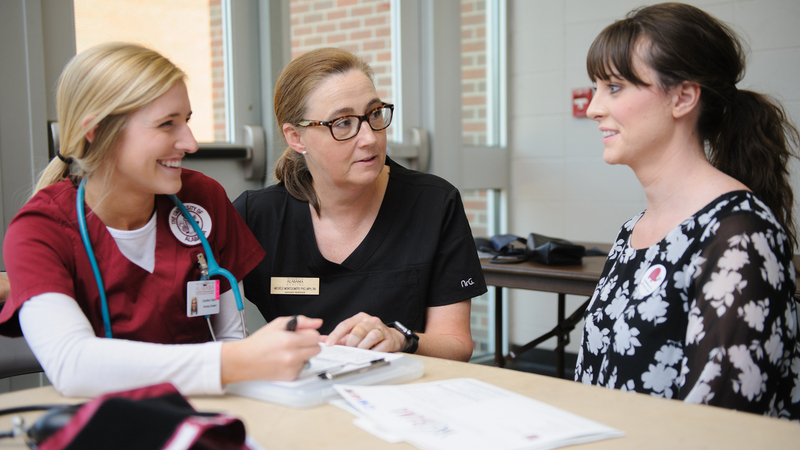 In addition, the College recently received funding to support the Nursing Faculty Loan Program from the Health Resources and Services Administration. The funding aims to increase the nursing faculty work force in the state and nation. The College will be recognized formally as a NLN Center of Excellence during the Honors Convocation at the 2018 NLN Education Summit on Sept. 14 in Chicago. The annual summit draws a capacity crowd of nurse faculty, deans, administrators and professionals from nursing and allied health organizations across the nation. NLN is the premier organization for nurse faculty and leaders in nursing education, offering professional development, networking opportunities, testing services, nursing research grants and public policy initiatives to its 40,000 individual and 1,200 institutional members. NLN members represent nursing education programs in higher education, health care organizations and agencies.